Fall weather can represent a mild to drastic change in the climate, depending on where you live. Here in Southern California, the atmosphere is dry and temperatures are just beginning to drop. We are also faced with Santa Ana winds, which turn San Diego into a desert of dry heat and wildfires. For Elizabeth in Seattle, it has already started snowing so the weather has become cold and dry. The overall trend for Fall and Winter seasons is this: drier weather = drier skin. Throughout the two seasons, it’s important to keep up with your routine and ensure your skin and body are getting the hydration they need. Double-cleansing and sun protection are still as important during the Fall and Winter as they are in the Summer and hotter months. Apart from our current skincare routine, there are changes we make for that extra boost of hydration. Below are our Top 10 favorite Fall and Winter skincare tips! Look for cleansers with ingredients which leave behind moisturized skin such as glycerin, panthenol, sodium hyaluronate or hyaluronic acid. Foaming cleansers may also be beneficial during the drier months. Now, this isn’t necessarily saying a foaming cleanser is more hydrating than a non-foaming cleanser. If anything, the ease of which your cleanser foams may impact how much physical rubbing and tugging you’ll have to do to get it to lather up. The abundance of foam provides a more gentle cleanse and protects your skin from being rubbed too harshly when it is already being exposed to cold weather and wind. The foam will also provide a more luxurious experience, leaving skin supple and moisturized. Additionally, always make sure your cleanser is low pH - around 6 or lower. Choosing a low pH cleanser makes a big difference because it won't strip your skin of its natural oils or leave behind a dry, “squeaky clean” feeling. However, these types of cleansers may feel like they're not doing enough during colder months. If you want to keep using your low pH gel, powder, or non-foaming cleanser but want to ramp up the foam and moisture, consider running it through a foam maker or a whipping net. These will turn a dime-sized amount of your normal cleanser into a dense foam in seconds. It also saves you more product in the long run! One of the most common changes to your cold weather routine is to switch your moisturizer and sunscreen to something more occlusive. We like to think of occlusives as creams formulated with ingredients that "occupy" the surface of your skin and prevent loss of moisture. Typical occlusive formulas include butylene glycol, jojoba oil, or silicones being higher up on the ingredients list. Switching your moisturizer and sunscreen to an occlusive formula may help with severe dryness when the weather calls for it. Word of warning, however, is that occlusives tend to be thicker and potentially pore-clogging. If you're worried about this you may just want to use these creams during your nighttime routine, or try layering moisturizers of different thickness. Oily-skinned folks, read on to the next section for an alternative. If you aren't already using a physical sunscreen, you may also want to switch to one during the colder months to provide a more occlusive barrier to your skin. Jane switched her chemical sunscreen to NEOGEN's Day-Light Protection Sun Screen to account for the colder weather and harsher winds. Physical sunscreens are often too heavy for her in the summertime, but are perfect for the drier climate. We discussed occlusives, now let's talk humectants. Humectants are another type of ingredient that lock in moisture and they do so by pulling in moisture from the atmosphere and binding it to your skin. Humectants are a better bet for oily-skinned folks as they're not as heavy or potentially pore-clogging as occlusive formulas. One of the most well-known humectants is hyaluronic acid, (you may also see its solid form, sodium hyaluronate, on your ingredients list). Hyaluronic acid can hold up to 1000 times it's weight in water and is a stellar ingredient used across various product types. When we see Hyaluronic Acid, we associate it with being hydrating. Fall and Winter are the perfect seasons to incorporate the seven skin method into your routine. This involves putting on 7 layers of hydrating toner or essence toner on your face, with a roughly 3 minute absorption period in between. For this method, you can use the same toner or switch it up between a few different toners if you’re concerned about wasting too much product. The result is stepping up your hydration game to the max. You can even do a 3 Skin method if you find 7 is too time-consuming or wasteful. We've mentioned this before, but one of our favorite hydration hacks are facial mists. These are lightweight formulas with beneficial ingredients that can be spritzed on your face at any time your skin needs a boost. Facial mists are a godsend, especially for dry weather. Pro tip: using a facial mist (or a spritz of water) right before applying moisturizer will allow your moisturizer to lock in an extra layer of hydration. Additionally, facial treatment oils are thicker and can be added to your routine as a standalone step during colder seasons. 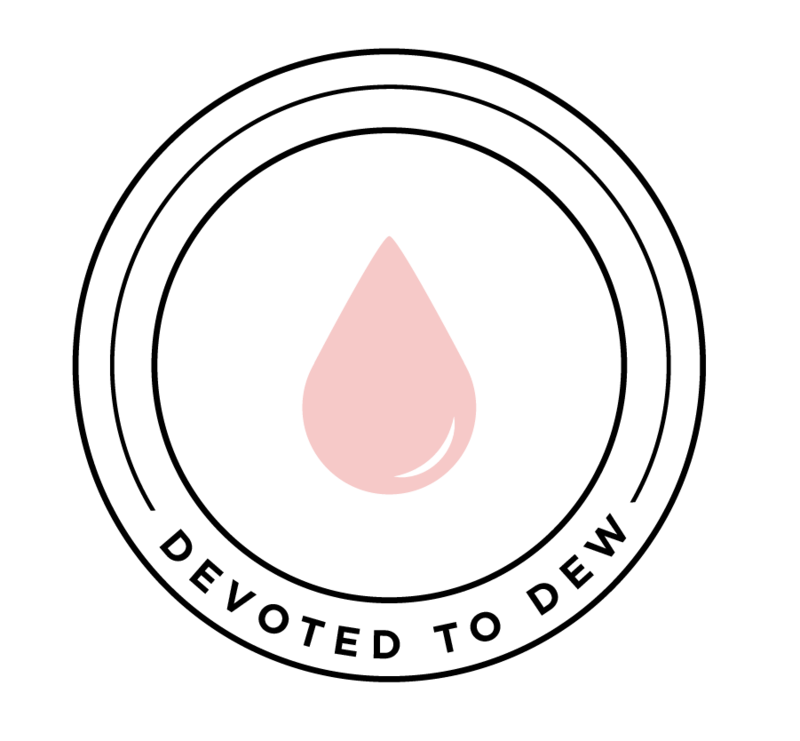 Common facial oils include rosehip, fruit extract, jojoba, and argan oils. Facial oils provide an occlusive barrier which lock in moisture and can be used in place of moisturizer or used prior to moisturizer. In addition, facial oils can also be mixed in with moisturizer to retain hydration further. Driving, typing, texting - our hands do so much on a daily basis yet are often overlooked. Don't forget to give them extra love this Winter. The skin on our hands is subject to the same if not worse dry weather woes as the skin on our face. One thing we do daily that affects our hands' moisture level is wash them with warm water and soap, then use a hand dryer or rough paper towels to dry them. This tends to make the skin dry and rough to the touch. Thus hand cream is a must, especially in Winter, to restore that much needed moisture. Jane's holy grail hand cream is from L'Occitane. The original version is a rich, luxurious shea butter cream which absorbs quickly and doesn't leave behind a greasy film. Sephora usually has gift sets containing the mini-sized creams around the holidays, so it's the perfect time to stock up! Hand masks are another great way to treat your hands to additional moisture. These are essentially sheet masks in the form of gloves packed with hydrating ingredients to impart to your hands. You would wear them as you would regular gloves and after 10-20 minutes remove the mask and pat any remaining essence into your skin. In addition to overall hand hydration, our fingers and nail beds also tend to become dry which can result in cuts or calluses if not properly cared for. To solve this issue, Jane started using fingernail essence from Etude House - essentially a nail brush in a tube, where you twist up the "essence" into the brush. Simply spread the brush across your cuticles and wait a few minutes for it to dry; your fingers will feel instantly hydrated. Your lips are another area of your face prone to dryness and cracking in the cold weather. Luckily, there are several products which can help maintain smooth, hydrated lips. In dry weather it's important to frequently exfoliate and moisturize your lips - this is the key to layering on any lip color (especially matte liquid lipsticks). Resist the temptation to rub or lick your lips! Elizabeth learned this the hard way when she got minor cold burn when it snowed in Washington for the first time. Our favorite lip mask is the much-loved Laneige Lip Sleeping Mask, which is packed with antioxidants, vitamin C, and hyaluronic acid to soothe lips and lock in moisture overnight. Another lip care favorite is e.l.f. 's Lip Exfoliator in brown sugar. It comes in a convenient lipstick tube which you swipe over slightly dampened lips to gently exfoliate. It works wonders, is super affordable, and smells amazing! The skin around your eye and under eye is thin and delicate but prone to dryness as well. Cold weather and wind can make the eye area dry and dull. Hydrating and cooling eye sticks are one of our favorite solutions to provide moisture and plumpness to this area. They work just like chapstick for your under eye; they de-puff and nourish the skin to appear brighter and more hydrated. Eye patches are also great for refreshing the under eye area with ingredients such as niacinamide and glycerin which help brighten and revive dry skin. Lastly, use an eye cream which is intensely hydrating and occlusive. This can make all the difference in the appearance of fine lines and dark circles, thus revitalizing the skin around your eyes. During the Winter, our hair and scalp can be just as thirsty for oil and moisture as the rest of our skin. Dry weather can do a number on your hair - especially if it's permed or color-treated. This is the perfect time to revitalize limp and parched hair with additional treatments - our hair almost needs its own routine during the colder months. Dry air and low humidity can also turn your hair into a static mess. Hair oils, leave-in products, and masks are a great way to treat this as well as damaged and dehydrated hair. Jane's HG leave-in treatment is It's A Ten Miracle Leave-In Product. It works extremely well to moisturize, soften, and smooth out tangled, frizzy hair. It also doubles as a heat protectant. (It's a little pricey so if anyone has a good dupe, let a girl know!) Hair oils or essences can also be used all over the hair or just on the ends to nourish and protect your hair from cold weather elements. One DIY hair treatment to control static is to use a dryer sheet to tame flyaways and static-ridden hair. Simply rub a dryer sheet (preferably unscented) over your scalp and ends, even your clothes. This will help control the static cling so you can move on with your day without fear of being inadvertently shocked. Lastly, hair masks and overnight treatments can do all the work for you. One of our favorite overnight treatments is Living Proof's Night Cap Overnight Perfector from their Perfect Hair Day line. It works really well to lock in moisture overnight, just apply it to dry hair and the next morning your hair will be silky and smooth! We typically sheet mask 1-2 times a week, but during the Fall and Winter it doesn't hurt to up your masking to 3-4 times or even everyday. In addition, this is the perfect time to use more occlusive masks such as hydrogel and rubber masks which might be too constricting during the Summer. These masks are a one-way ticket for moisture, locking moisture in but preventing moisture from being pulled from your skin. A recent innovation - shower masks - are a great way to enhance your shower routine this season. The steam from a hot shower can be pretty drying so slapping on a shower mask can do wonders to retain moisture. You simply slather on the mask and keep it on for the length of your shower. Wash it off before you hop out and you're left with plump, hydrated skin. Bonus tip: Drink water! Water will hydrate your skin from the inside, but it's important to keep in mind that your skin is the very last organ it will reach. Thus, always stay hydrated and keep those skin cells plump. These are our top 10 Fall and Winter skincare tips. The common theme is to hydrate wherever and whenever possible. Let us know if you incorporate any of these steps or products in your routine, and if you have any recommendations please share them in the comments below - we'd love to hear them!